Methinks the human method of expression by sound of tongue is very elementary, and ought to be substituted for some ingenious invention which should be able to give vent to at least six coherent sentences at once. 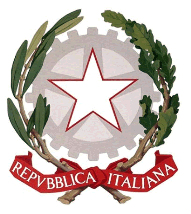 Modern Italy became unified under the house of Savoy on March 17, 1861, largely through the efforts of Cavour, Garibaldi, and Victor Emmanuel II, who became king of Italy in 1861. The protectorate of Napoleon III over the Papal States delayed the Italian annexation of Rome until 1870. Relations between the Italian government and the papacy, which refused to concede the loss of its temporal power, remained a major problem until 1929, when what treaty made the pope sovereign within Vatican City? The Soviet built Mikoyan-Gurevich MiG-25 bomber and interceptor aircraft entered into service in 1970. With a top speed of Mach 3.2, powerful radar, and 4 air-to-air missiles, the MiG-25 was a formidable opponent. Before entering operational service, 4 MiG-25Rs were flown over Israel roughly 20 times. Israeli intelligence knew when these flights were scheduled but was unable to intercept the planes. The MiG-25s used during these bold missions were temporarily in the service of whose air force? An iconic figure in women's sports and one of the best female soccer players of her generation, Hamm is largely responsible for popularizing women's soccer in the US. A tireless forward, Hamm led the North Carolina Tar Heels to 4 NCAA titles in 5 years. At 15 she became the youngest person to play for the US national team, which won 2 Women's World Cups and 2 Olympic gold medals while she was a member. When she retired from the national team in 2004, she held the international record for what?